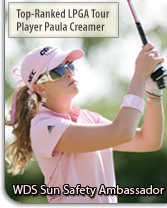 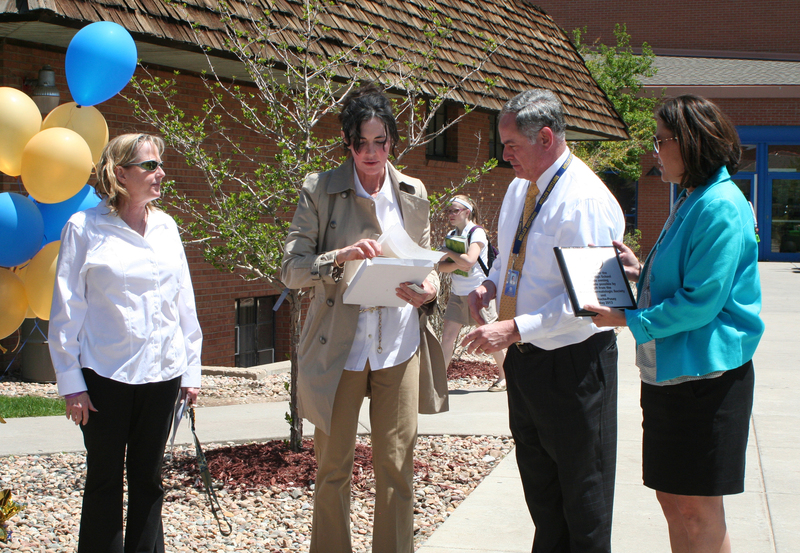 Photos from the Tuesday, May 21, 2013 event. 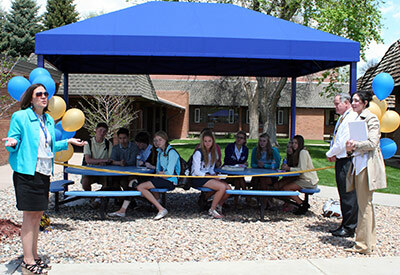 Thanks to WDS Board member Dr. Adrienne Stewart of Denver, who recently completed the first-ever WDS sun-proofing of a high school through the TOPS program! 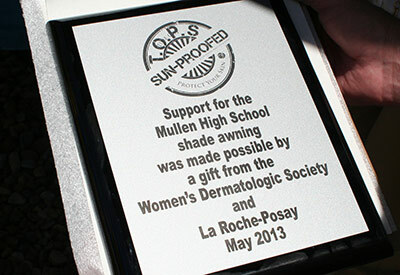 Dr. Stewart conducted sun safety outreach for Mullen High School (MHS) students-- including many athletes who play outdoors-- provided educational materials, UV color-changing bracelets and sunscreen, and participated in a ribbon-cutting ceremony for the new shade awning that was made possible by a grant furnished through this program, supported by sponsor La Roche-Posay. 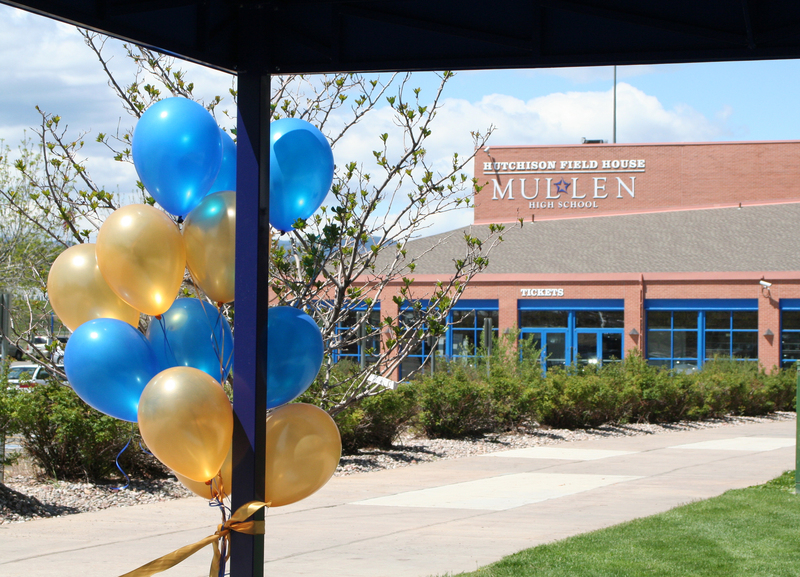 The ribbon-cutting ceremony featured remarks from MHS principal Janell Kloosterman, President Carl Unrein, PE Teacher Suzanne Beski, a skin cancer survivor herself, and Dr. Stewart. 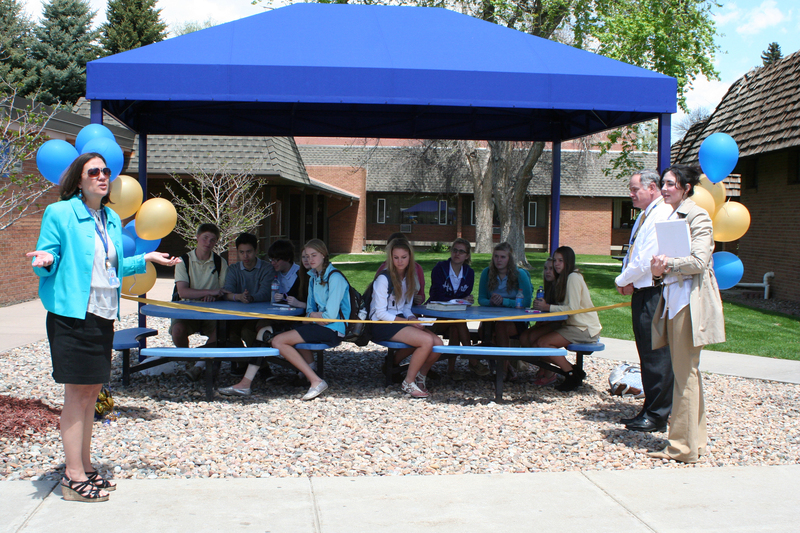 Congratulations and thank you to all who made this effort a great success. 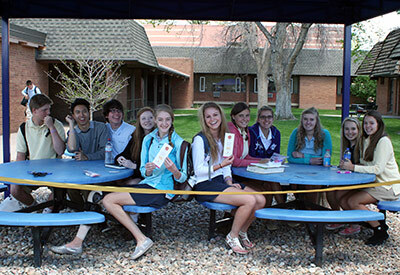 Reaching high schoolers, particularly those in the mile-high climate of Denver where UV exposure is up to 25% greater, was an important step for the TOPS program! 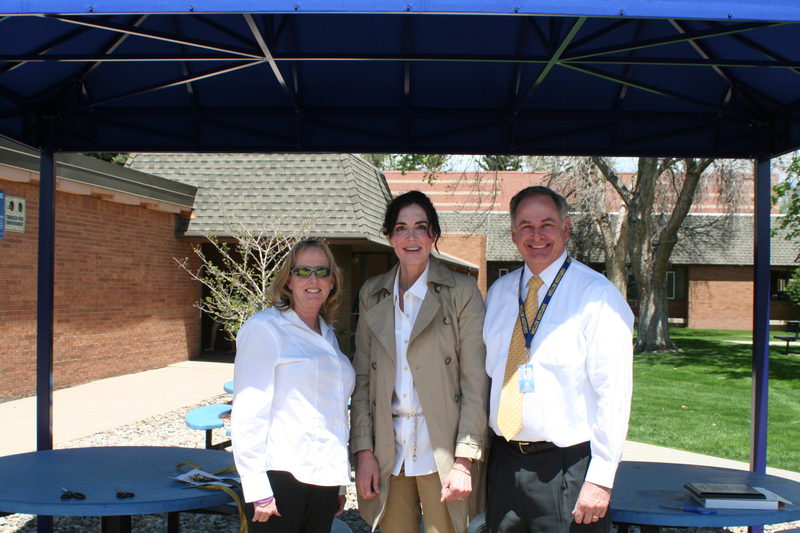 Thank you to La Roche-Posay for providing the support for this shade awning, which is located near the school's Field House. 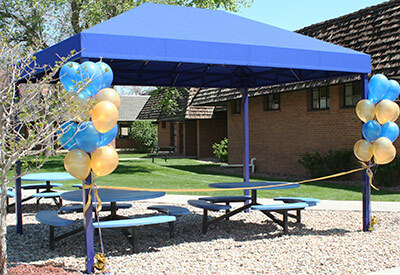 This shade awning was made possible thanks to the grant provided to the WDS by La Roche-Posay. 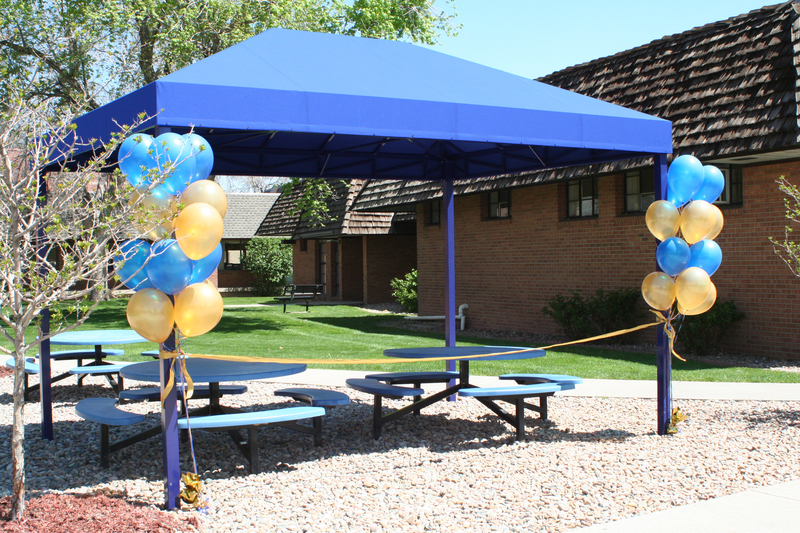 Now the high school students will have shade protection near the Field House! 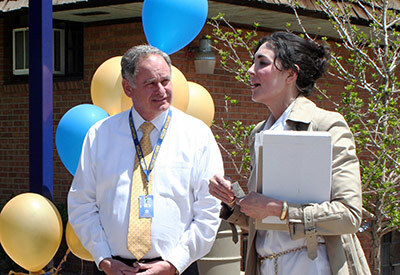 The ceremony featured remarks about the importance of sun safety for the Mullen High School family, from the vantage points of local dermatologist Dr. Stewart, skin cancer survivor Ms. Beski, and MHS President Carl Unrein. 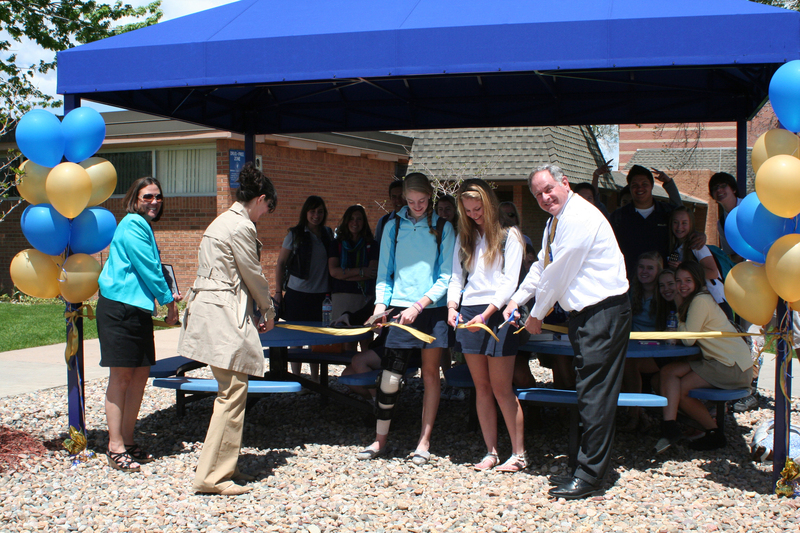 Students learned that due to Denver's mile-high location and snowy terrain, the UV radiation is up to 25% greater. 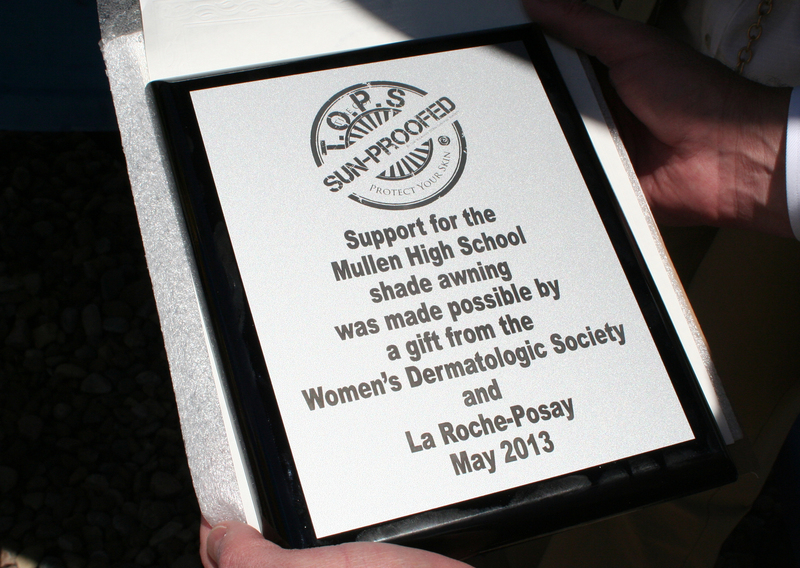 Dr. Adrienne Stewart presented the school with a plaque and certificate commemorating the official sun-proofing through TOPS, made possible through the WDS grant provided by La Roche-Posay. 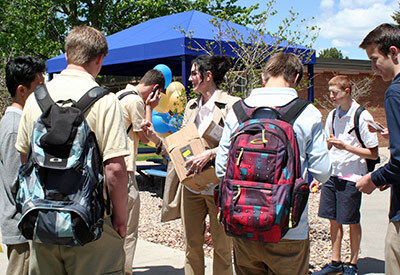 Broad-spectrum Anthelios samples, provided La Roche-Posay, was distributed to the high school students along with sun safety tips. 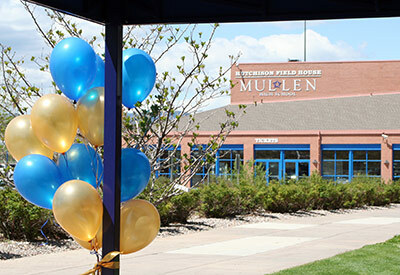 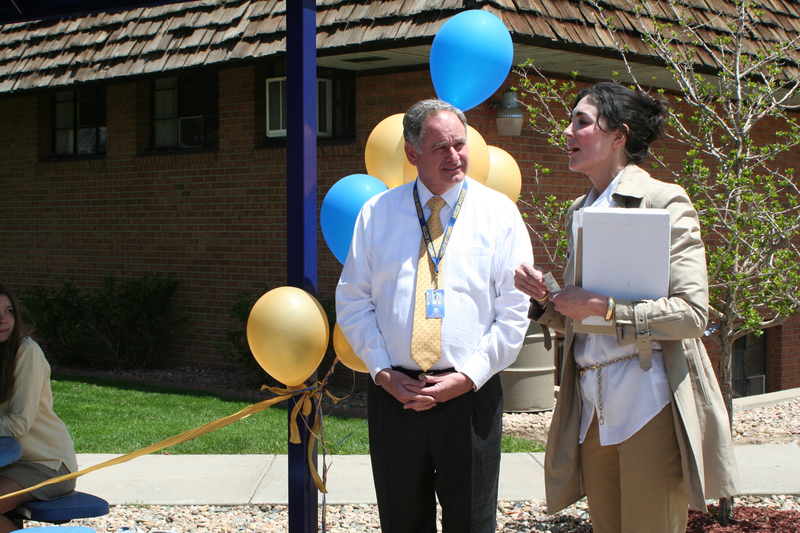 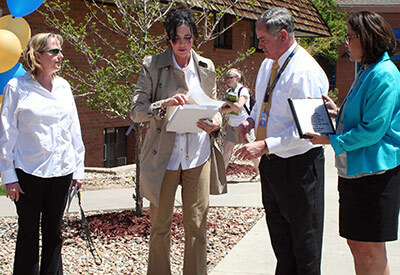 The ribbon-cutting ceremony took place on May 21, 2013 in Denver, Colorado. 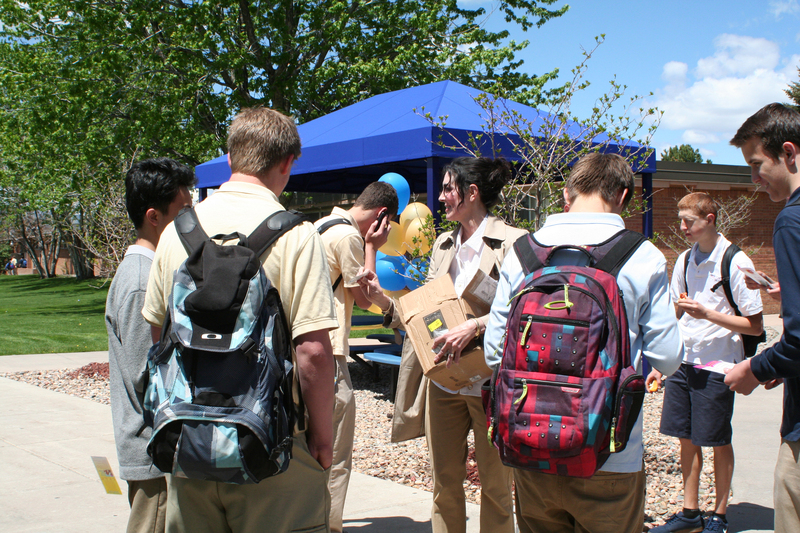 MHS students, faculty and administration learned that the UV radiation is 25% or more higher in Denver, making the importance of daily sun safety even more important. 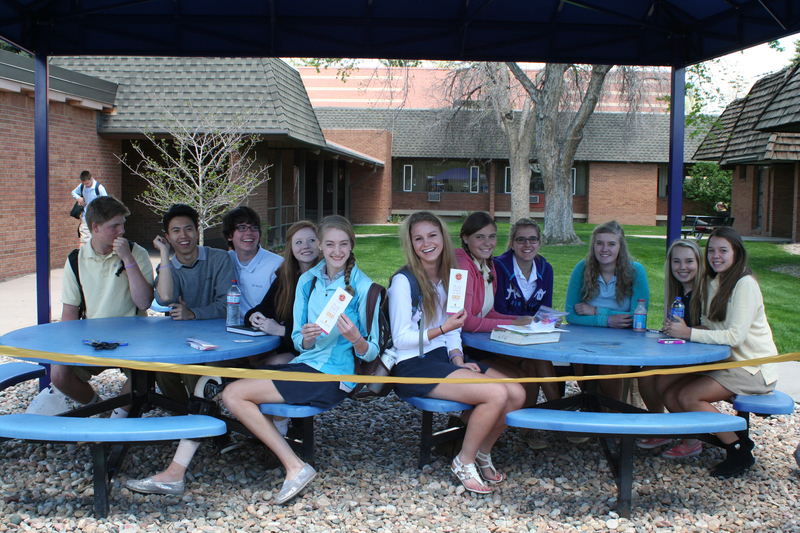 UV color-changing bracelets were a big hit! 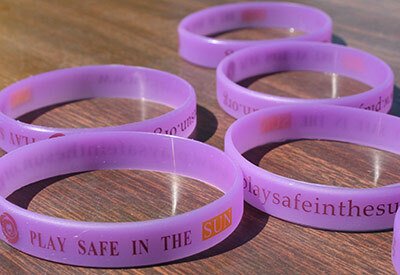 Students love these bracelets, which deepen in color in relation to the degree of UV light. 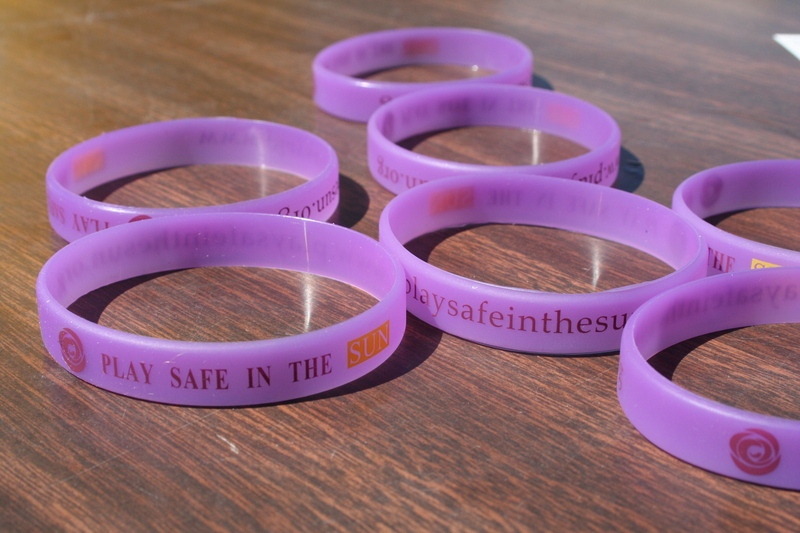 These serve as a great reminder to wear sunscreen--even on cloudy, cooler days!